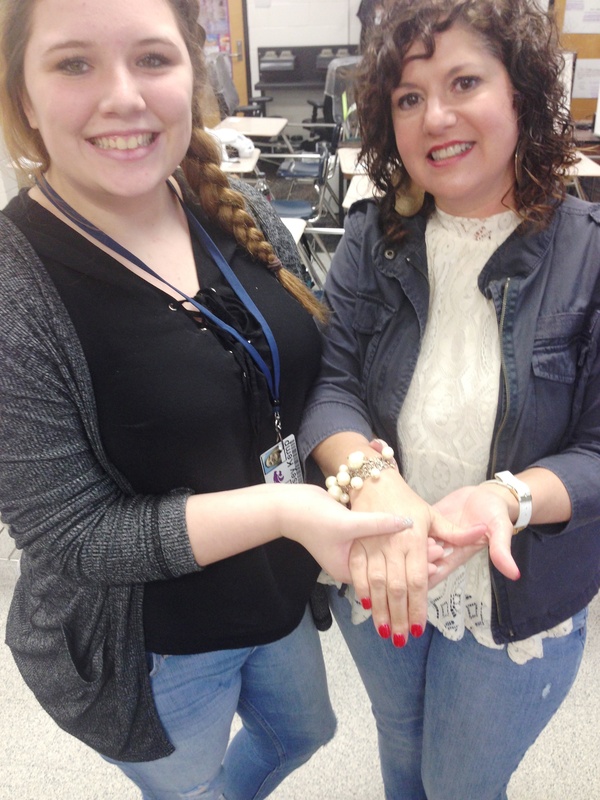 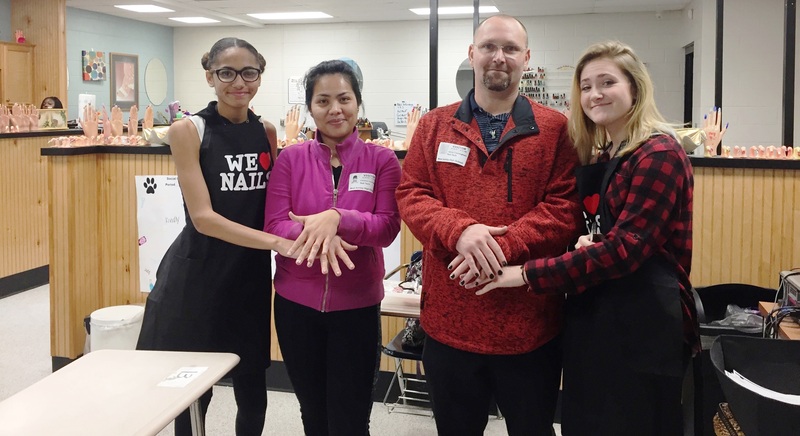 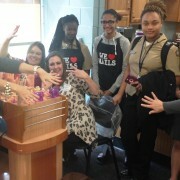 On a recent Saturday morning, Mrs. Helen Shepherd and her Nail Tech students from West Ashley High School staged a Salon & Spa Day of Pampering for students’ family members! 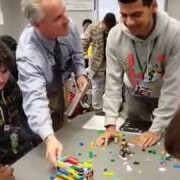 PLTW Instructor Jamie Corson and his students from Academic Magnet HS were welcomed by Ms. Michelle Rehr-Matash, SPAWAR Public Affairs officer for a day of interactive learning. 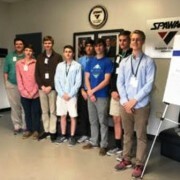 Students got to visit several different working labs, including the Communications & Wireless Lab, Research & Development Lab and Computer Forensics Lab. 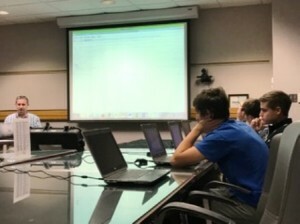 Then over lunch, students participated in a computer forensics activity with Mr. Bill Littleton, an accomplished SPAWAR computer scientist . 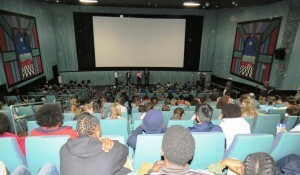 The students enjoyed the activity involving meta data & GPS data integrated into photographs. 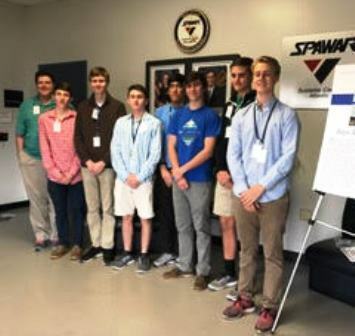 “The opportunity to visit SPAWAR offered students the ability to meet with a wide range of engineers and technicians.” said Mr. Corson. 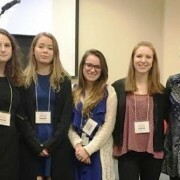 “They left with a better understanding about the various projects taking place behind the guard gate, and the important role the organization serves in our national security”, added Corson. 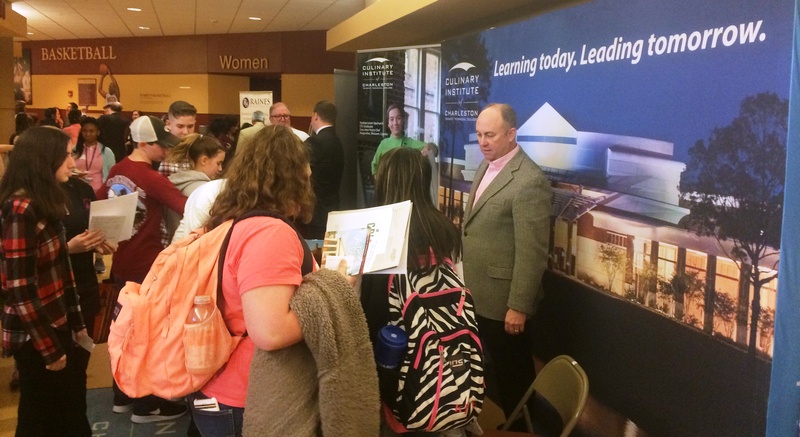 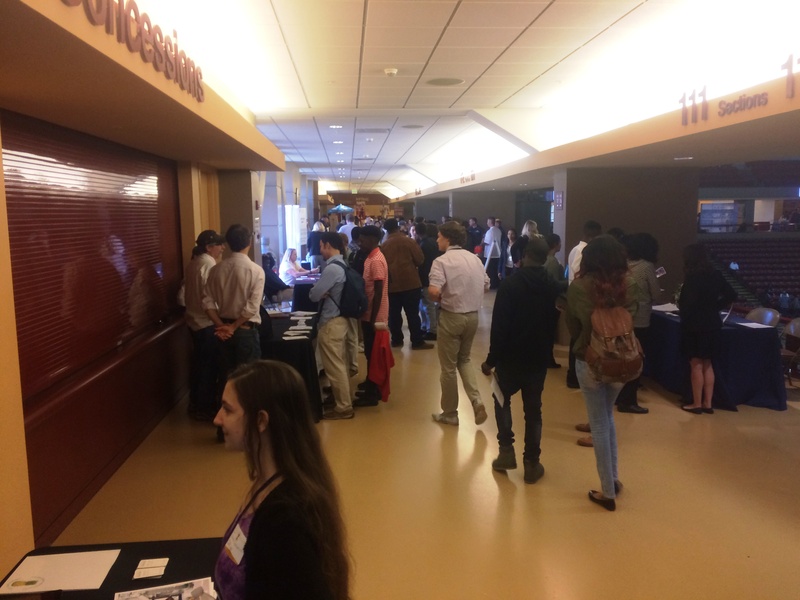 The students also learned about opportunities for federal internships and co-op programs aimed at both high school and college students. 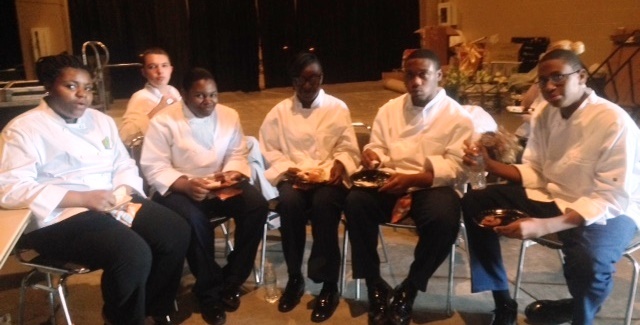 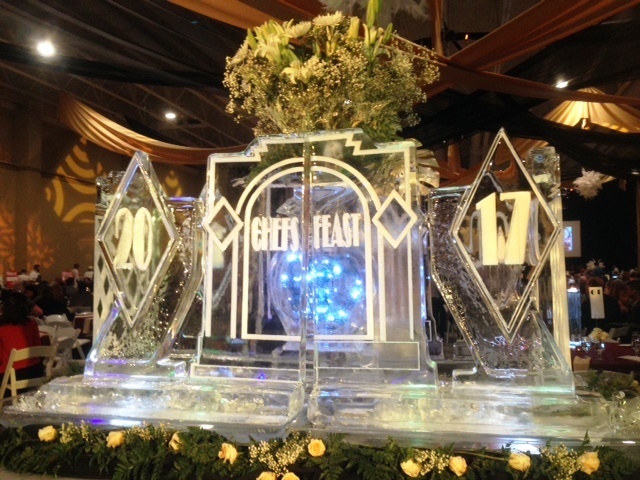 Military Magnet Academy’s culinary arts instructor Chef Kimberly Ortego and 7 of her students recently assisted with a large scale fundraising event benefiting the Lowcountry Food Bank called Chef’s Feast. 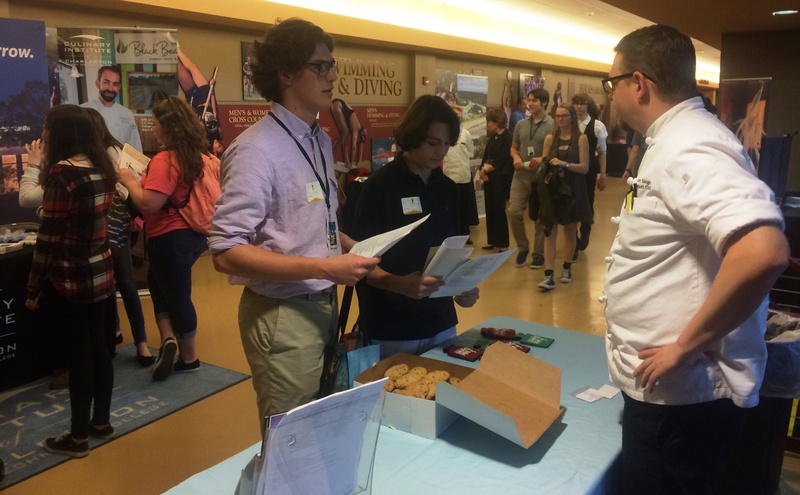 Students assisted with preparations prior to guests’ arrival alongside professionals from throughout the local hospitality and tourism industry. 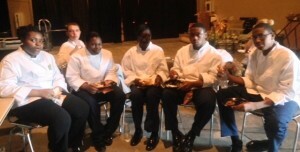 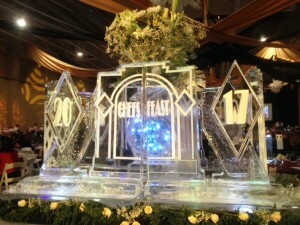 They also assisted with serving during the event as well as replenishing supplies as needed for various tables. 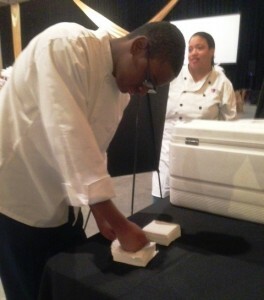 “This work-based learning experience was wonderful for my students”, said Chef Ortego. 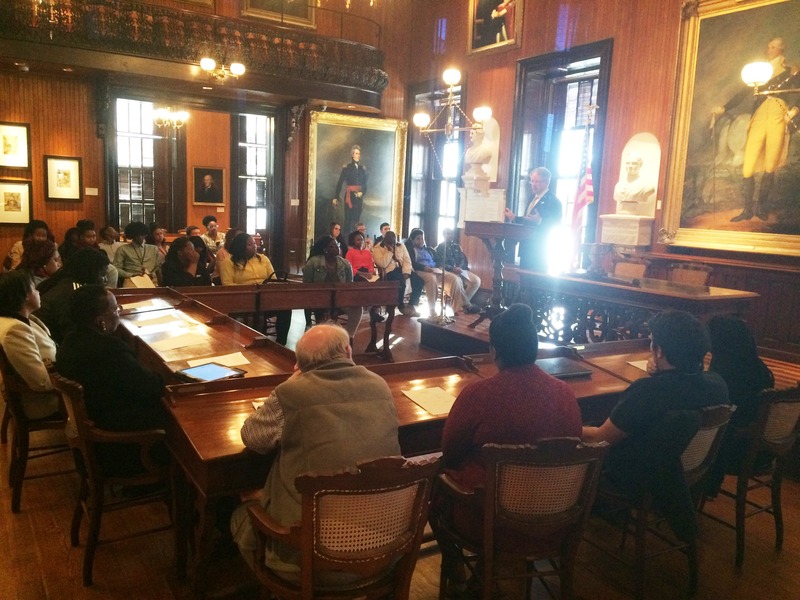 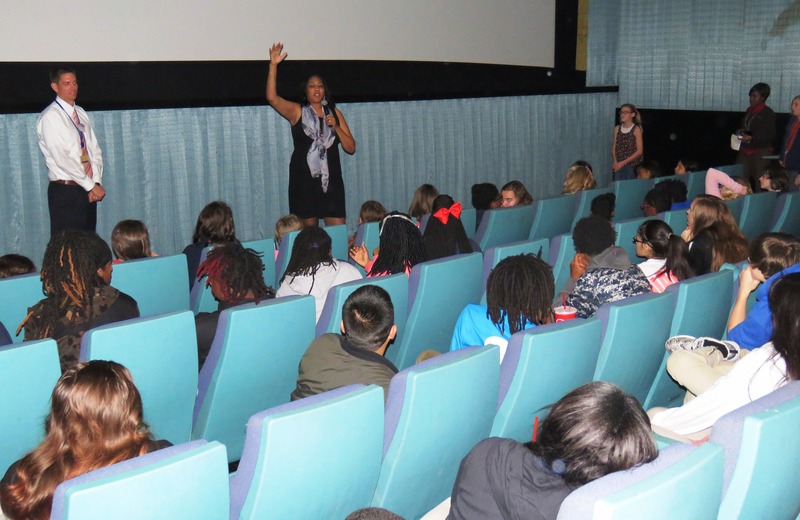 February 13, 2017 – Charleston, SC – 25 students from West Ashley High School got to shadow City of Charleston municipal professionals for a “Day in the Life” experience. 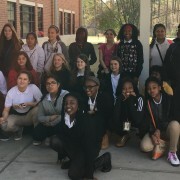 They arrived with their chaperones Ms. Melissa Sparks and Ms. Bridgette Butler early Monday morning at City Hall, and quickly took their seats in the historic City Council Chambers. 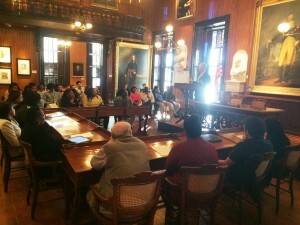 They got to hear several interesting stories about the chamber from the docent, Ms. Lindsay Barrios including the single Edison light bulb still in place and the amazing story of the portrait of George Washington in Charleston featured behind the podium. Then, they were welcomed by City of Charleston Mayor, John Tecklenburg. He spoke on the value of the opportunity of job shadowing and thanked the City of Charleston team members for their willingness to invest in students. 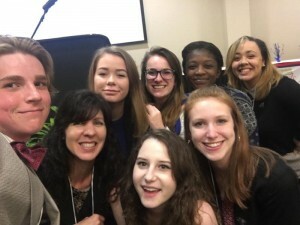 Students were them connected with their host departments and departed to begin their work-based learning experiences. 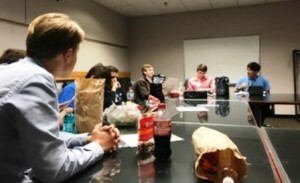 After the morning of job shadowing, students and their host met for a special luncheon at the Maritime Center. 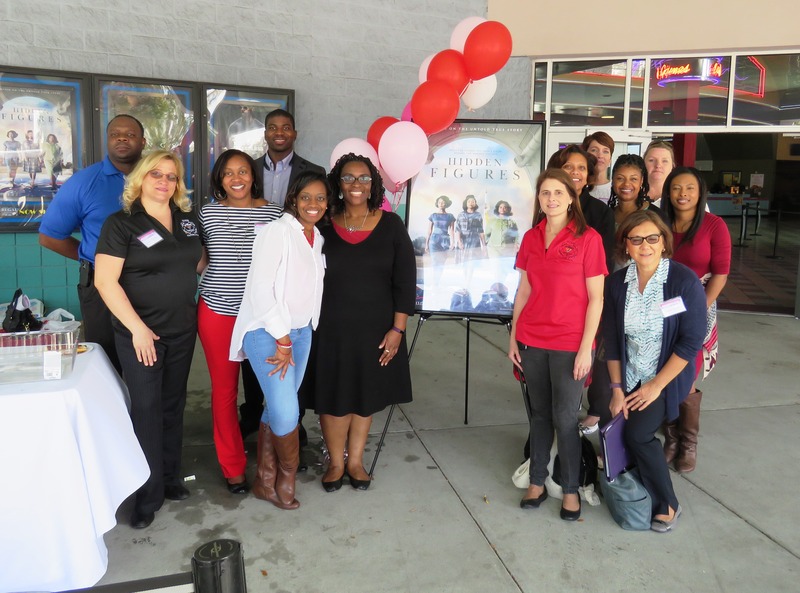 The amazing day of work-based learning was organized by Jennifer Gorham with the Mayor’s Office of Children, Youth, and Families. 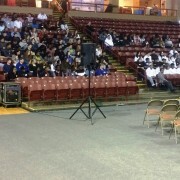 Thanks to Jennifer, Mindy, and all the City of Charleston departments for making this event possible again this year. 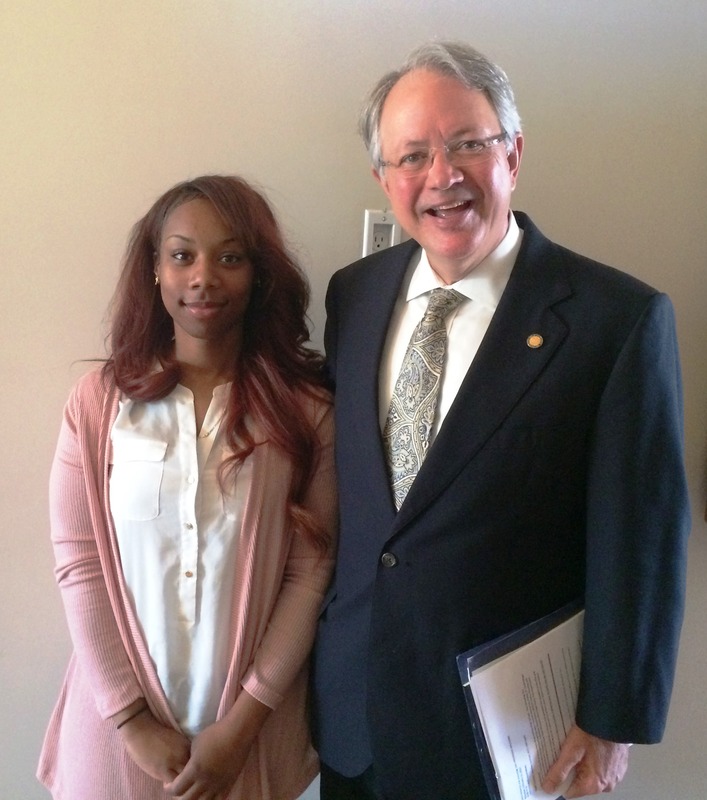 Thanks to Mayor John Tecklenburg for welcoming the students to City Hall and attending the debriefing luncheon at the Maritime Center. 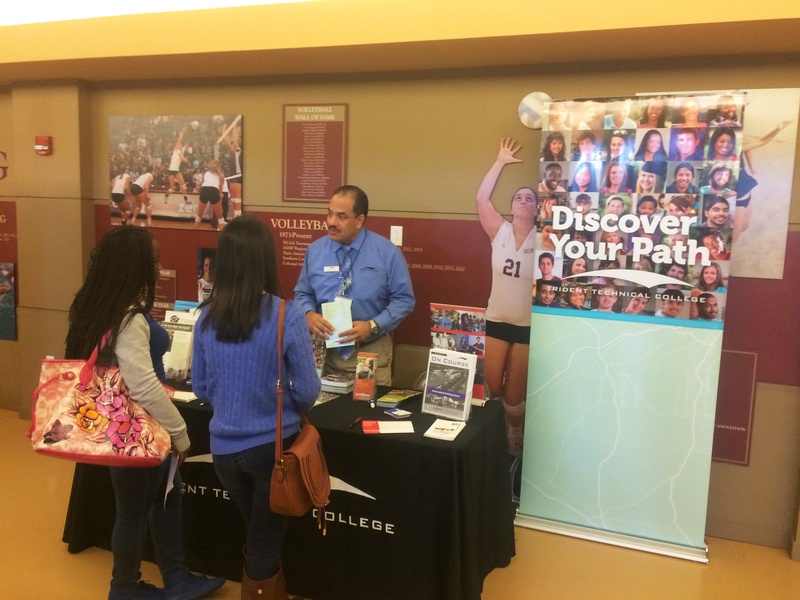 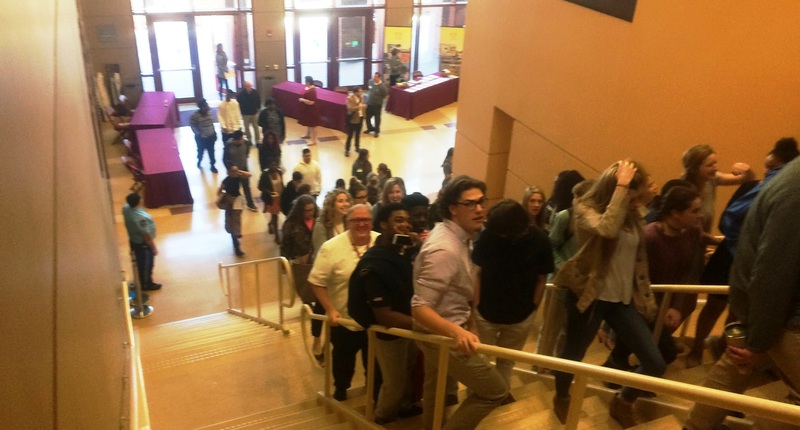 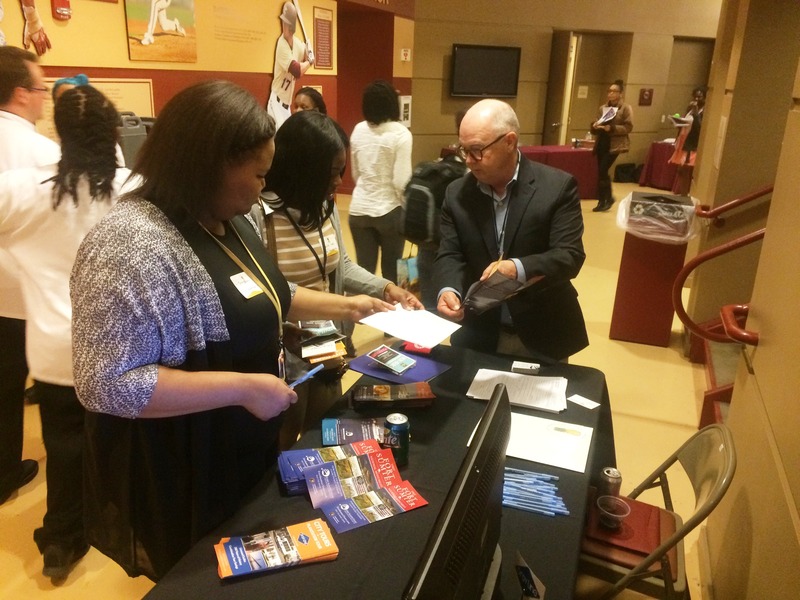 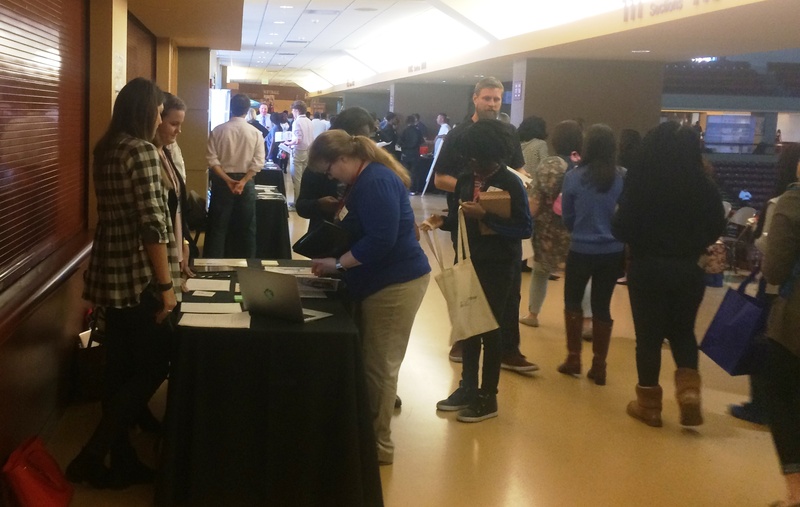 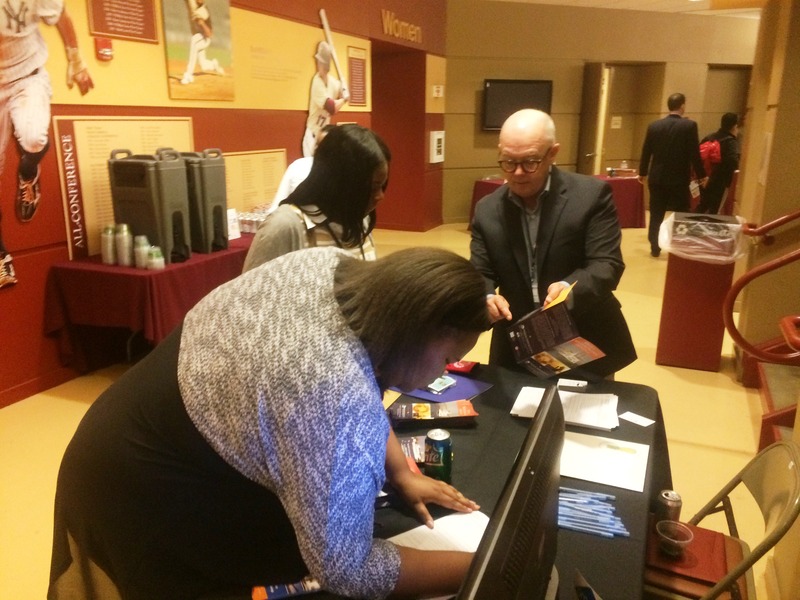 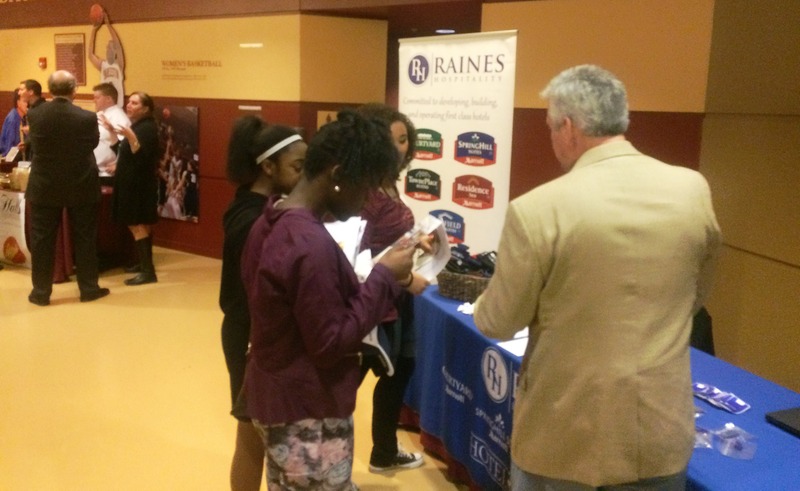 On February 6th, students and faculty from the College of Charleston Department of Hospitality and Tourism Management hosted an amazing career fair at the TD Arena on Meeting Street. 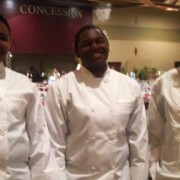 Over 100 students from CCSD culinary arts programs attended. 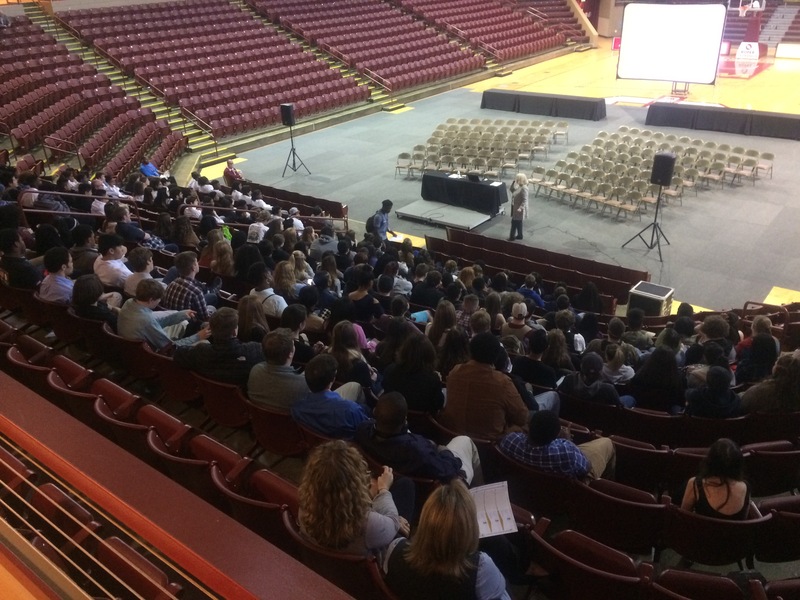 Paula Miller from SMG, the worlds largest operator of coliseums and convention centers, including ours in N. Charleston, shared a terrific lecture on soft skills, including best practices for resumes, interviews, and post interview follow up. She also shared proper communication etiquette. 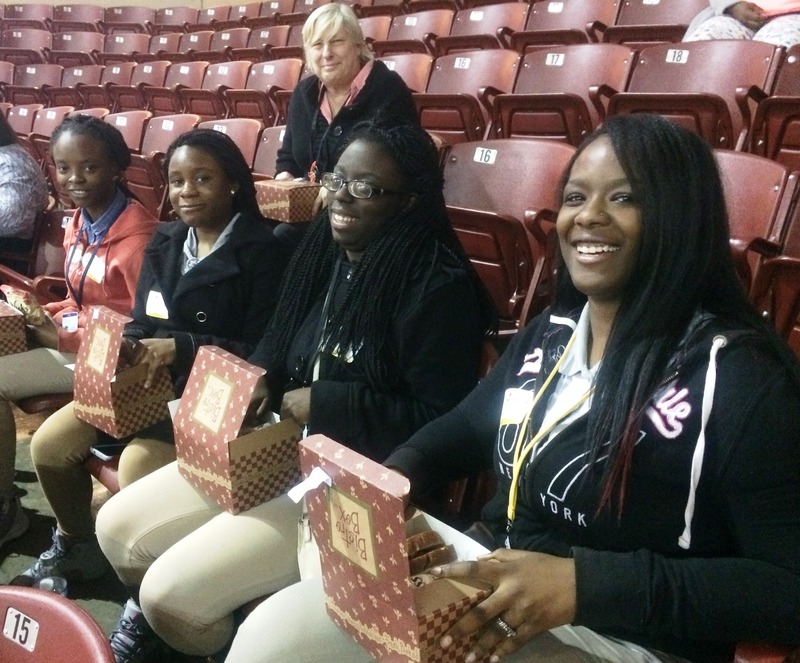 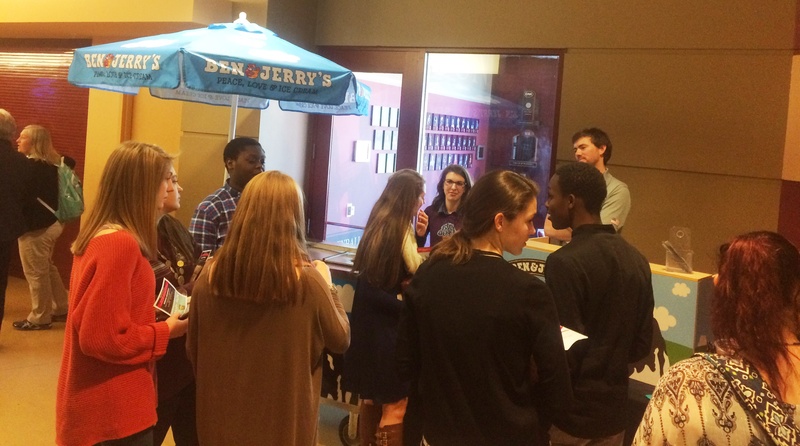 After Ms. Miller’s presentation, students got to enjoy a special box lunch and then walk around to visit 40+ local colleges, restaurants, hotels, and attraction vendors seeking interns and employees. 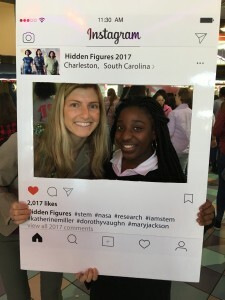 Participating CCSD Schools included: St. Johns High School, Wando High School, Garrett Academy of Technology and North Charleston High School. 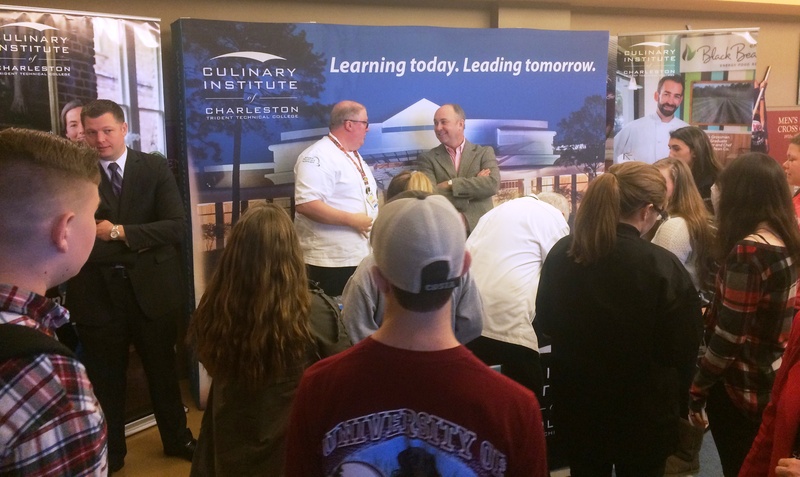 “For our high school students to get to participate in this event and hear from a soft skills expert was tremendous”, said Chef Twaler who brought his Wando High School culinary students to the event. 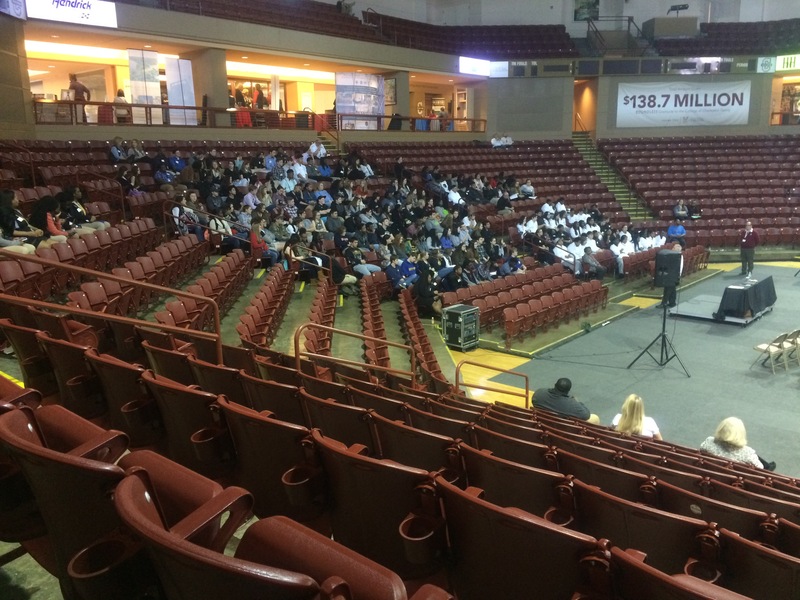 Thanks to all the local companies and colleges that participated, and thanks to Jeremy Clement, Wayne Smith, and all the faculty, volunteers and students from College of Charleston for including CCSD students in this event. 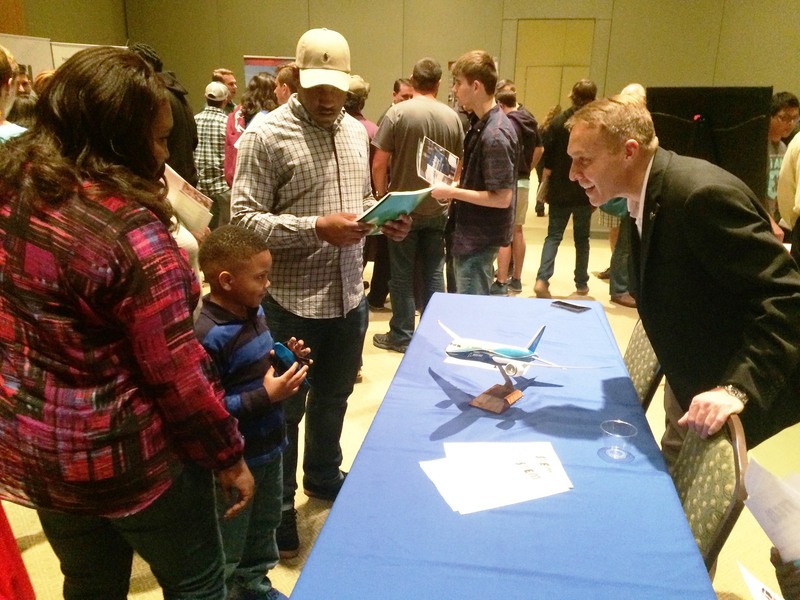 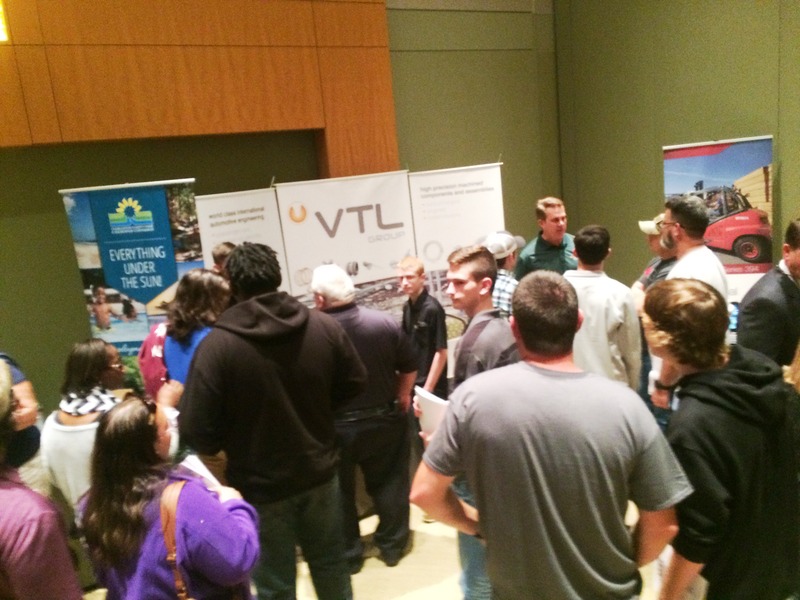 Thanks to all the students and parents that attended the information session on our region’s Youth Apprenticeship opportunities on February 2 at Trident Technical College. 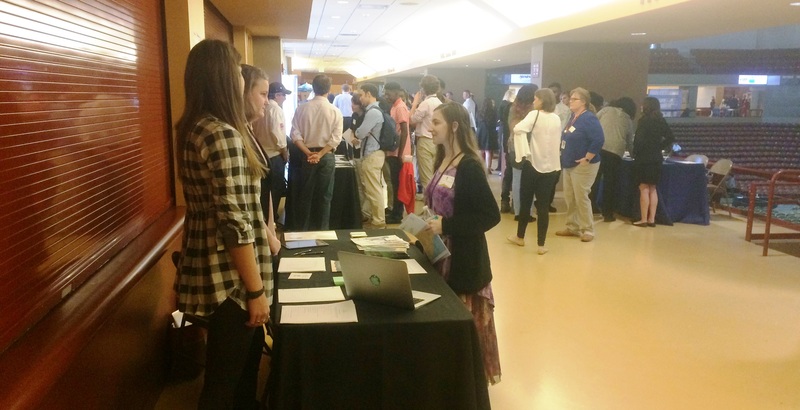 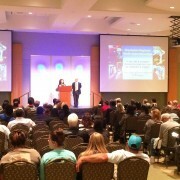 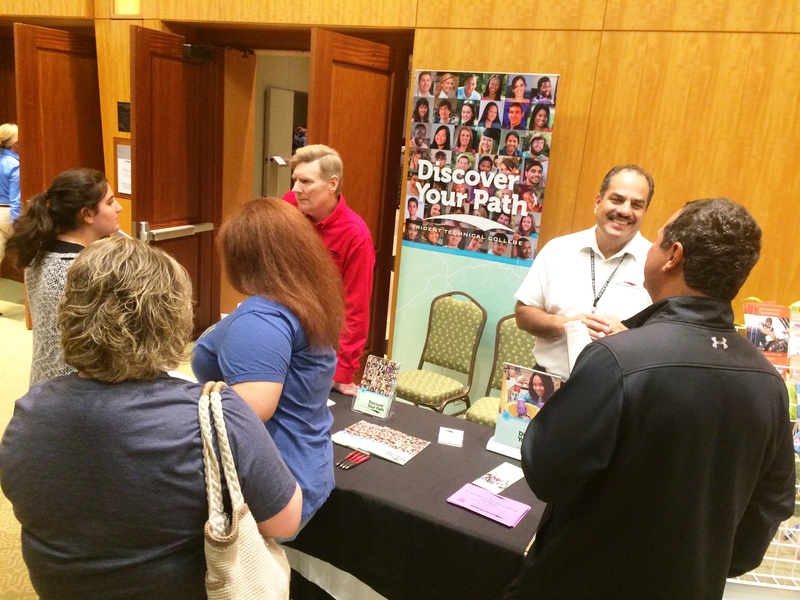 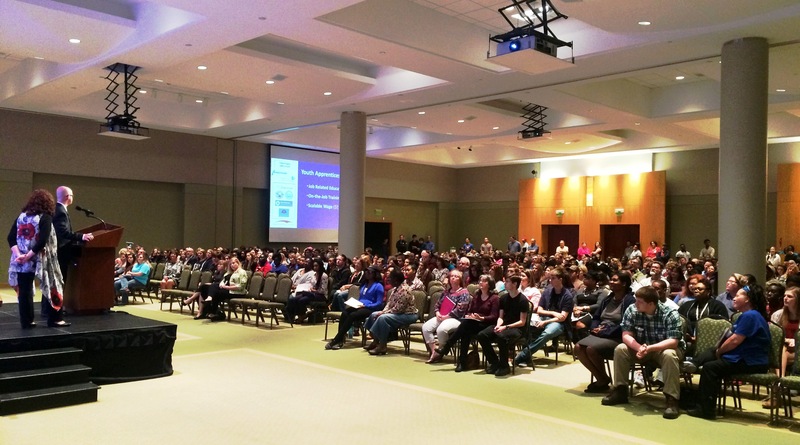 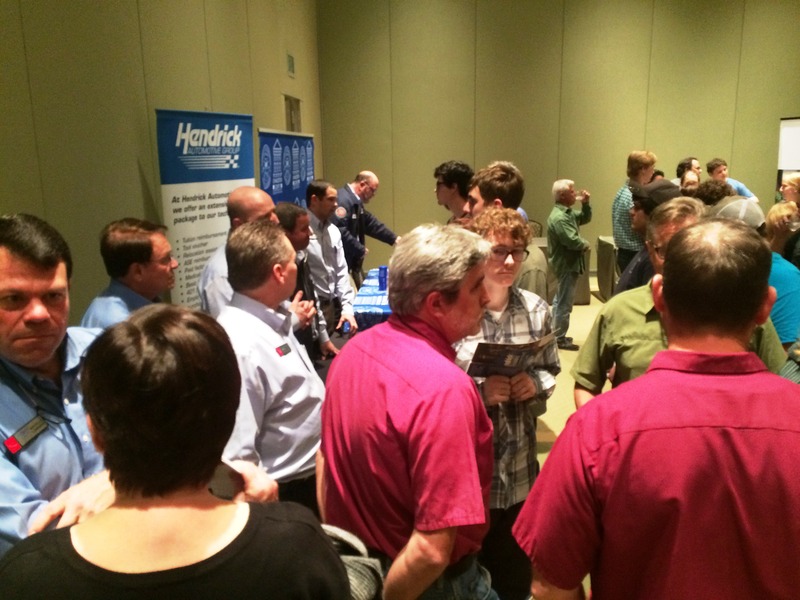 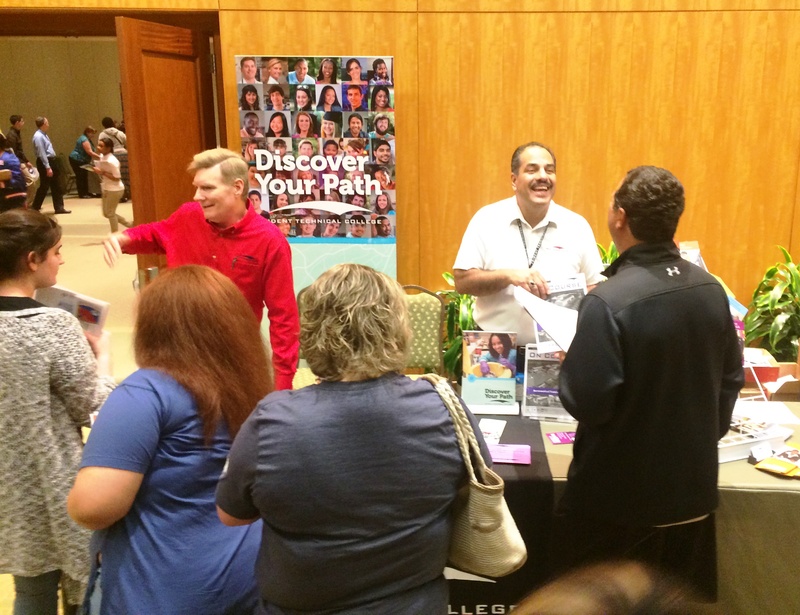 Attendees got to hear about youth apprenticeships available in 15 career pathways from over 100 local companies! 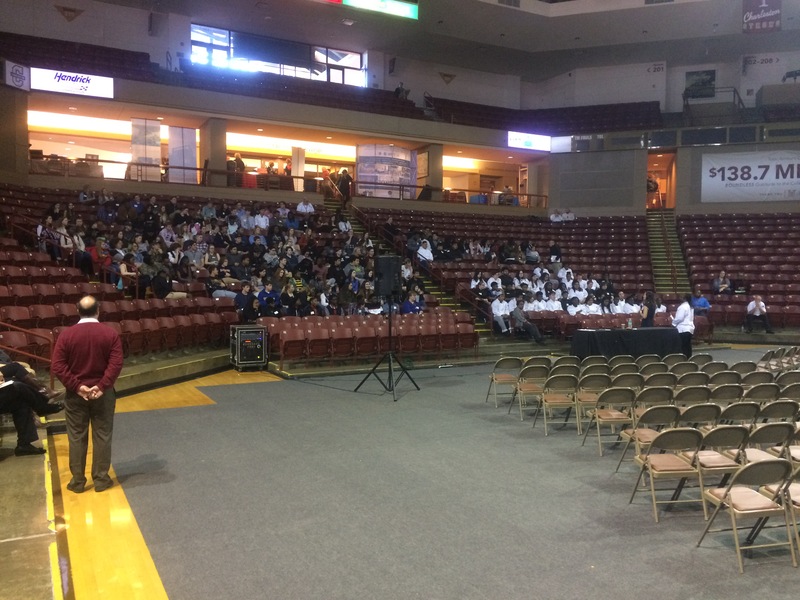 Over 100 employers in the Charleston region are offering rising high school juniors, seniors, and graduating seniors the opportunity to Get Paid to Learn as youth apprentices. Youth apprentices will receive paid on-the-job training along with classroom instruction as dual-credit students through TTC’s Workforce Academies. 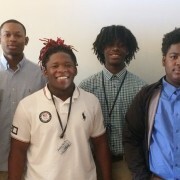 Thanks to the support of the Charleston Metro Chamber of Commerce, students in the youth apprenticeship program receive a scholarship worth approximately $6000 to cover all tuition and costs for apprenticeship-related college courses at TTC. 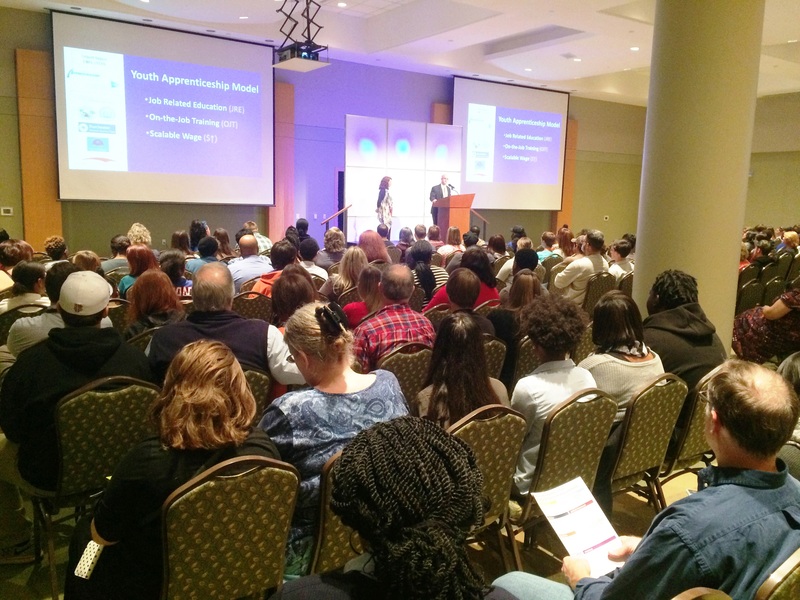 * In South Carolina, law enforcement officers must be at least 21 years of age. 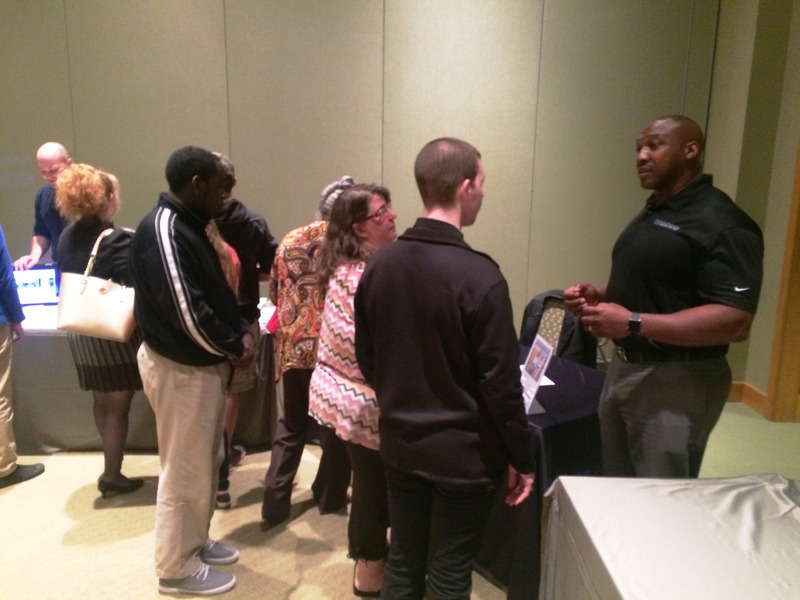 This apprenticeship equips students for employment as private security officers, and prepares them to continue their education and training at the police academy. 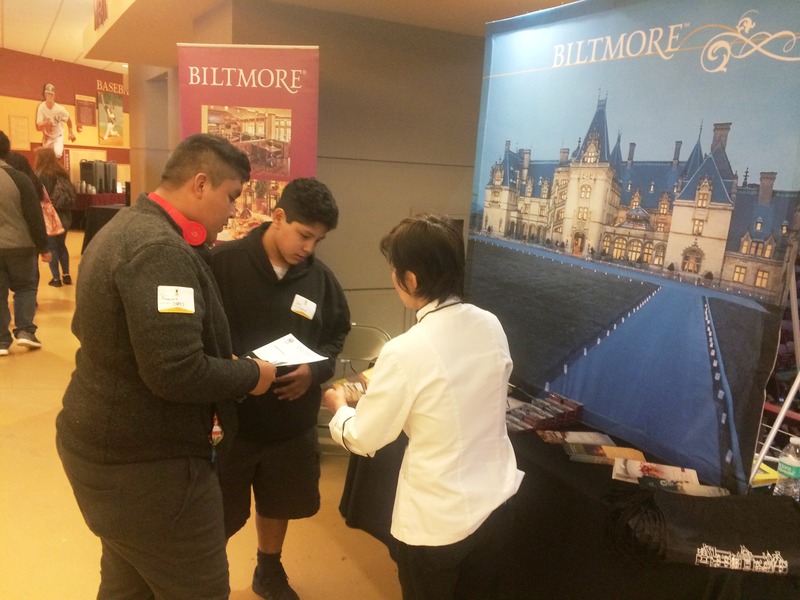 Be legally able to work in the U.S.
To start the application process, students must complete and submit all sections of the Youth Apprenticeship Application Packet, including proof of qualifying placement test scores. 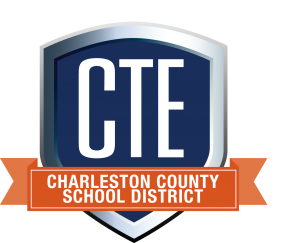 To schedule an appointment at the TTC Testing Center, call 843.574.6410.